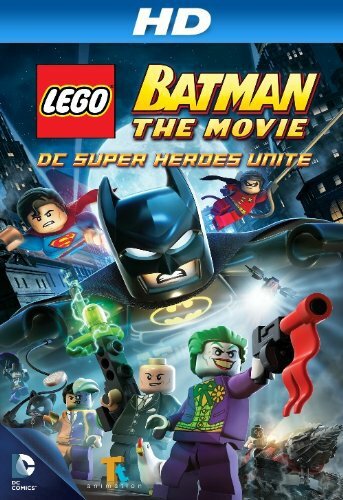 The Lego Batman Movie Dc Superheroes Unite is a story about Bruce Wayne who receives the man of the year award, and his billionaire friend Lex Luthor becomes jealous and decides to run for President. To create the atmosphere for his type of fear-based politics Lex recruits the Joker to perfect a Black LEGO Destructor Ray which wreaks havoc on Gotham. As Lex destroys Batman’s tech, Batman reluctantly turns to Superman for help. For kids who love Lego and mainly those who love superhero movies and cartoons this is a cute little movie and it is a great movie to be watched by adults also and you will not be worry about any nightmare or bad language . Smart jokes and cheesy shots from character to character are funny and fits well . The characters are funny and cute, your kids will laugh a lot. If your kids have ever played the Lego Batman game this movie is exactly the same as the game . A great thing about the Lego Batman: The Movie Dc Superheroes Unite is it will won’t just meet the youngest children needs for jokes, it has a bunch of jokes that will satisfy the younger kids and the parents will love it too. At least you won’t get bored watching movies with your kids. This is the blue-ray version of The Lego Movie, 86 minutes long and great quality .